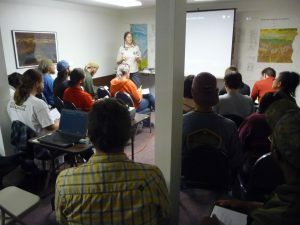 Welcome Wild South’s Newest Wilderness Rangers! On October 1st and 2nd, twenty Wild South volunteers received their initial training preparing them to work as Volunteer Wilderness Rangers in Alabama’s three wilderness areas. Several of our veteran VWRs were present as well to offer the benefit of their knowledge and experience. Kudos to these passionate and committed individuals! Without them, our wilderness areas would be ill-equipped to manage the impacts from the rapidly growing level of visitation they receive. Wild South VWRs are principally charged with educating wilderness visitors about the need to minimize recreational impacts, but they also fulfill many other duties that are essential to maintaining the wilderness character of this priceless resource. 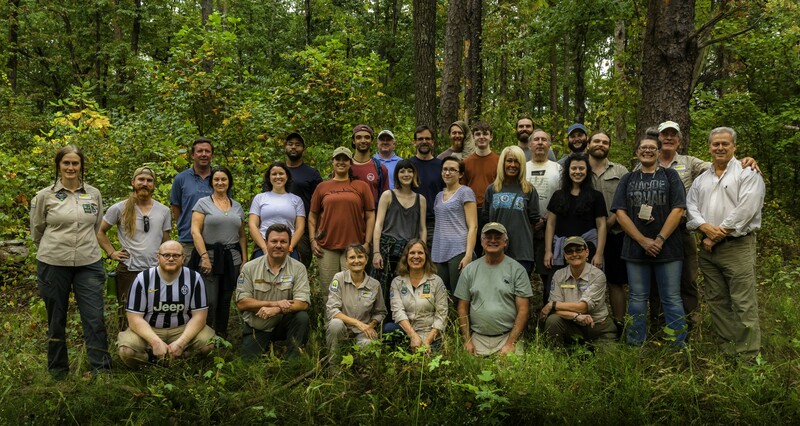 Thanks to the support of the National Forest Foundation, Walker Area Community Foundation, and individual donors like you, Wild South’s Volunteer Wilderness Ranger program is entering its sixth year in Alabama and is needed more than ever. Just ask our Forest Service partners, who continue to be challenged to find money for wilderness management in a shrinking recreation budget. The future of the National Wilderness Preservation System rests with communities and organizations like Wild South, which are committed to the protection and preservation of America’s enduring resource of wilderness.